EMPI - I Say Ding Dong Shop - Buy Stickers, Decals & Unique Automobilia. 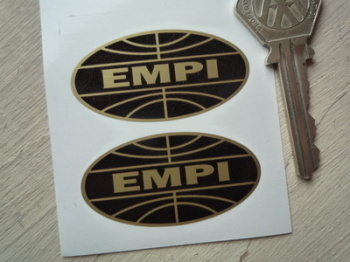 EMPI Black & Beige Oval Stickers. 3" Pair. EMPI Black & Gold Oval Stickers. 2" Pair. 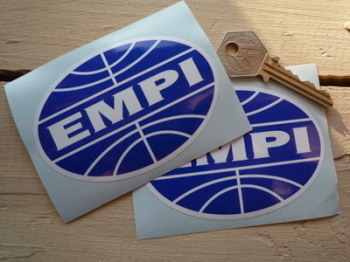 EMPI Blue & White Oval Stickers. 3.5" Pair. EMPI GT Orange, Blue, & Brushed Foil Stickers. 42mm Pair. EMPI Handed Flames Stickers. 6" Pair. 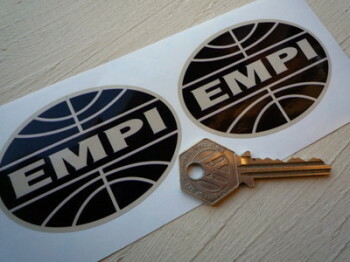 EMPI Logo Style Self Adhesive Car Badge. 2". 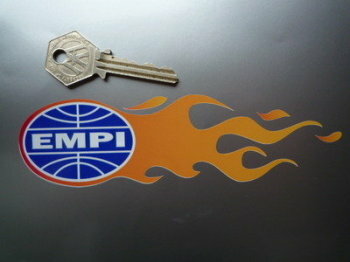 EMPI Logo Style Self Adhesive Laser Car Badge. 25mm.